Description Zhang Chi, a hubris and dominating six-time racing champion, falls from grace following a crisis. After a five-year suspension from the motorsport, the now single-father to a six-year-old boy throws down the gauntlet once again to a younger generation of racing geniuses, and vows to regain his past glory. 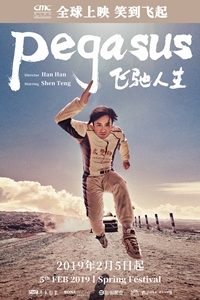 With few years left in a professional career at almost forty, the father-and-son duo braves a brand-new world of auto-racing which puts them into some rather ironic situations. To guard the honor and a father's promise to his son, Zhang Chi regroups with his former teammates on the journey back to the race course. Together they roll with the punches and launches a serious attack for the championship.